For an incredible un-spoilt and authentic wildlife experience Zambia is still the place to visit. From the animals of the Kafue and South Luangwa National Parks to the magnificent Victoria Falls; a journey through Zambia encompasses the great icons of Africa. 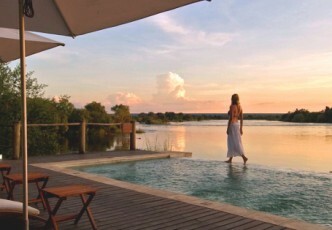 Landlocked and bordered by Zimbabwe, Botswana and Namibia on the South; Zambia is fed by several life-giving rivers. The greatest of which is the mighty Zambezi, which thunders for hundreds of kilometers across Africa. 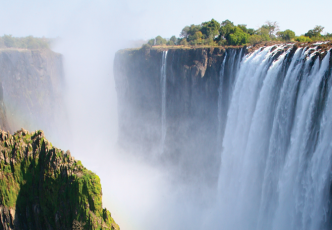 Nothing matches the first sight of the awe-inspiring Victoria Falls, the largest waterfall in the world. The sheer volume of the water crashing over the cliff sends up a towering column of mist. No visit to Zambia is complete without a visit to the place that David Livingstone considered one of the most beautiful in Africa. Visitors can also enjoy other water based activities including fantastic cruises and sundowners on the steady waters of the lower Zambezi to whitewater rafting below the Victoria Falls. Relax on a boat cruise around Lake Kariba, the world’s largest artificial lake, and dine on some of the delicious fresh crayfish found in this area. Zambia is located predominantly on a high plateau and its’ tropical climate makes it an ideal wildlife destination. 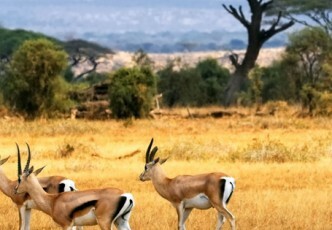 The great national parks of this region offer incredible safari opportunities. You can find Africa’s Big 5 and plethora of animals and birds in the pristine South Luangwa National Park or visit the stately Kafue, the country’s oldest park. 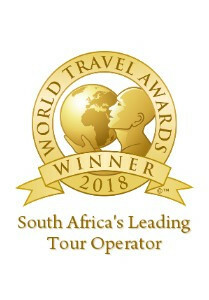 While it is possible to navigate the country under your own steam it advisable to use a trusted tour operator like Springbok Atlas. With over 65 years of experience on the African continent we provide an outstanding selection of guided tours, safaris and fly-in excursions through Zambia. This exclusive 12-day offer takes advantage of Kenya Airways’ new routing between Cape Town, Livingstone and Nairobi, and allows you to visit three countries in one unforgettable journey through Africa! Discover South Africa’s iconic Table Mountain in the vibrant Mother City, view the majestic Victoria Falls—known as “The Smoke that Thunders”—in Zambia, and explore the wildlife wonders of the legendary Masai Mara National Reserve in Kenya. Combine the natural beauty and thundering Victoria Falls of Zambia’s Mosi-oa-Tunya National Park with an array of wildlife and Africa’s largest herds of elephants in Botswana’s Chobe National Park. 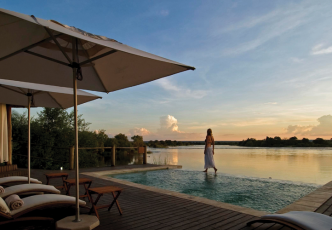 The elegance of Sanctuary Sussi & Chuma with unrivalled views over the Zambezi River, and the luxury of Sanctuary Chobe Chilwero will sweep you away on an unforgettable African discovery. This enthralling adventure begins in the historic town of Livingstone before moving on to explore South Luangwa National Park ending off in the peaceful Lower Zambezi National Park. This unforgettable getaway is set just outside the historic Zambian town of Livingstone, gateway to the great Victoria Falls. 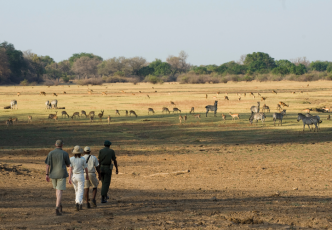 Stand in the footsteps of David Livingstone. Enjoy sunset river cruises and game drives from your lodge in the Mosi-oa-Tunya National Park. Zambia’s extraordinary landscape of escarpments and miombo vegetation begs to be explored on foot. The experience is amplified as highly knowledgeable guides bring the sights, sounds and smells of the African bush to life. 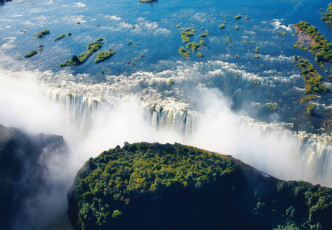 On this captivating 10 day holiday you will experience the grandeur of Zimbabwe and Zambia.